Denmark. The country of Vikings, pastries and Great Danes. Finishing the book 'How to be Danish' in a Copenhagen hotel room, I think - although I perhaps will never understand every facet of Danish culture - I certainly had a better understanding of it than when I first opened the cover. It gave me an interest and joy in visiting Denmark that I might not have had on quite such a profound level had I not read the book, and would highly recommend that you read it if you plan on visiting Denmark in the near future. There were alot of really interesting cafes, shops and bars, quirky streets, stylish people, odd customs and even odder foods. There was design, in copious amounts, and more bicycles than you could imagine (and this is coming from somebody who has been living in the Netherlands for the past 2 years). Beautiful landscapes, and possibly even more beautiful people. I thought it might be interesting to run through my time there day-by-day, and perhaps give you some ideas of places you might want to visit yourself. Touch down in Copenhagen Airport. Train to Copenhagen Central Station. Andersen Bakery was literally exactly opposite the train station and seemed to call out our names in gentle whiffs of pastry and fresh bread dough. Really gorgeously designed furniture inside, delicious fresh orange juice and some kind of cheesy-tomato-y bread thing. The first glimpse of Denmark. Beautiful girls behind the counter, hipster-y boys ordering bread rolls to-go in sing-song-y Danish, bikes whizzing by outside and the occasional casual screaming from the fun-fair rides at Tivoli (will be explained later). 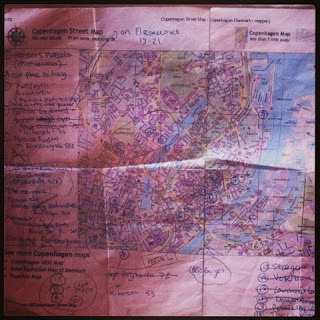 After a short walk to the hotel, I had already noticed a few features of Copenhagen that I really liked. One was the way the windows were, usually old and very square, and always very striking when one or two were opened. The other thing was the suspension of street lamps over the main (and very wide) roads of Copenhagen, the suspension wires criss-crossing with tramlines over head. Now for the first wander around town (and obligatory visit to the tourist info centre, and even more obligatory pamphlet picking-up routine). Perch Tea Rooms was one of the things on the 'to do' list, with old-fashioned weighing scales for the tea and the smell hits you before you even cross the threshold. We went to 'Riz Raz' (a sort-of vegetarian-y buffet/ fresh food-ish cafe/restaurant) which did a rather nice chicken sandwich. ( worked out that 'Kryllingborst' must be 'Chicken breast'- through a little bit of guess work and previous Dutch knowledge [in Dutch: 'Kip' is Chicken and 'Borst' is Breast] ). Walking home under a rather melancholic night sky, I knew already that I was going to love Copenhagen. After a night of much-needed sister-chatting until 4am, we woke up to another sunny day, and went for a walk around this very peaceful public garden (my sister casually identifying plants along the way - as you do). Next stop: The Danish Design Center. but the design of the cafe area itself was amazing! 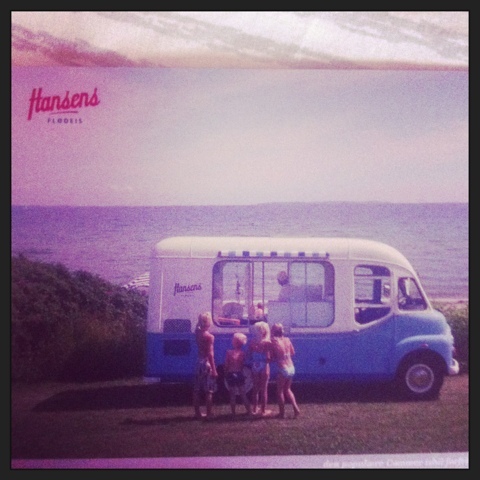 Hansens Icecream is a very cute 1950s style ice-cream parlour. Therefore ridiculous number of 1950s inspired postcards were picked up (that were all advertising Hansens) which are now strewn across my Edinburgh bedroom floor in a pastel-coloured pretty mess. Although not a proper 'sit-downery' (as my dad would call it), there were benches outside and it was nice to just sit and watch the world go by. The Copenhageners looked, dressed and behaved entirely differently - and this was an altogether more student-y part of town anyway. By this point I had already noticed that the Danish students dress distinctly differently from other students I have ever encountered thus-far. They all seemed to take the two straps from their shopper (aka hipster) bags and put them over each shoulder to make a kindof back-pack. 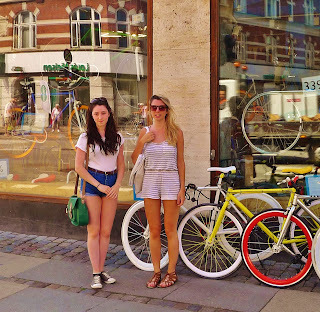 It was probably due to the fact that they were all cycling and this makes things a little easier, but still - it seemed to be somewhat of a trademark of the Danish students and twenty-somethings. Particularly on the 'Hipster Bridge' which seemed to be a congregating place for hipsters far and wide. 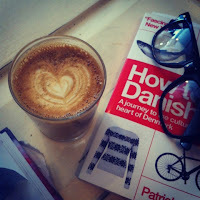 Fixie bikes, moustaches, fairisle jumpers, fake glasses, loafers with no socks, vintage sandals with socks, band t-shirts, polaroid cameras and obscure tattoos. 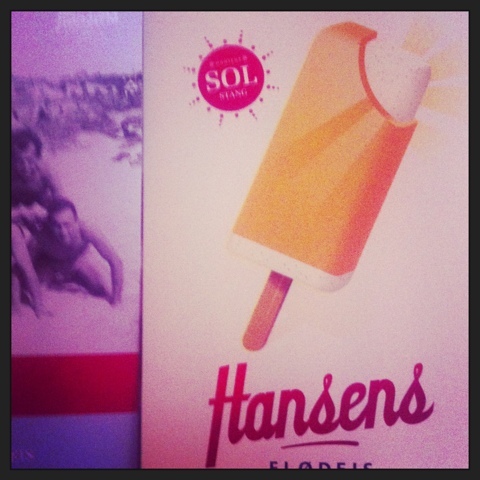 (I had the 'Summer Samba' juice - pretty good stuff). On the train to Malmo, my sister pointed out - amongst the scorching [for us brits] heat - that Scots seem to be weirdly happier when it is raining. By this point, my whole family - although still the palest on almost every street we walked down - had aquired varying degrees/versions of 'tan'. My mother had gone a slightly pinkish shade, my father - so many freckles that from a distance he looked a bit tanned, and my sister a nice glow and a new array of freckles sprinkled across her nose and arms. One day of sun, we get incredibly happy and excitable. Two days, we start to get a little exhausted and worn-out. By day three everybody is in a foul temper and unable to focus on any shape or form of work. My sister recounted that the day that people in her office at work were most happy and contented was the one day of late that it rained. She put it down to the fact that we "know how to 'do' rain" and we can "have our cup of tea". I have always had a slightly different sun-limit to the rest of my family and tend to tan far more easily and become alot happier in the sun. I sometimes joke that it is because my mother went to Portugal when she was heavily pregnant with me, but in reality - I have no idea why I go so dark compared to the rest of them (by this point, I looked like an entirely different ethnicity). Anyway, all of this blabber about sun is because it was now Day 3 of our trip, and my family were beginning to have the 'slightly-grumpy' stage where they were somewhat 'over' the sunshine. 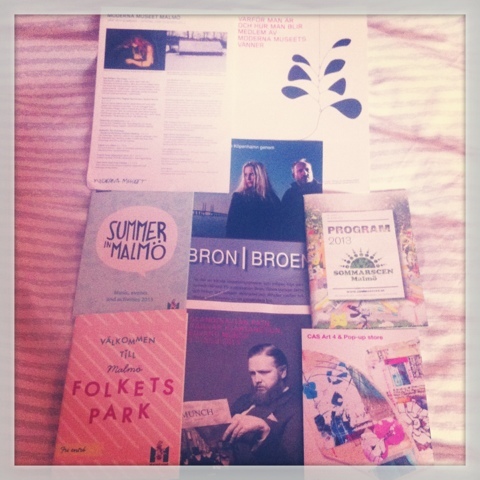 So today was a perfect day for a short train journey and a visit to a modern art museum in Malmo. Crossing the bridge on the train between Copenhagen, Denmark and Malmo, Sweden was exciting for me in a pretty nerdy way as I had just finished watching the entire series of 'The Bridge' which was a crime drama with the first murder being discovered exactly halfway across this very same bridge - between Denmark and Sweden. On a practical level - it is actually a very beautiful and well-designed bridge, and crossing it you get a wonderful view of the wind turbines that populate a sort-of sea wind farm. Quite striking and photogenic. Another stop by a tourist info centre. Lille Kafferostereit - the fresh, not to sweet strawberry juice was amazing. Really cute cafe, I want to go back actually. The Modern Museum of Malmo absolutely blew me away - it is like this big orange blob/cube in the middle of a very unassuming row of houses - hidden away from the centre of Malmo. The exhibition around the theme of Scandinavian Pain was fantastic. Although according to my sister the artist was a bit "up his own bum" (K. O'Sullivan, 2013). 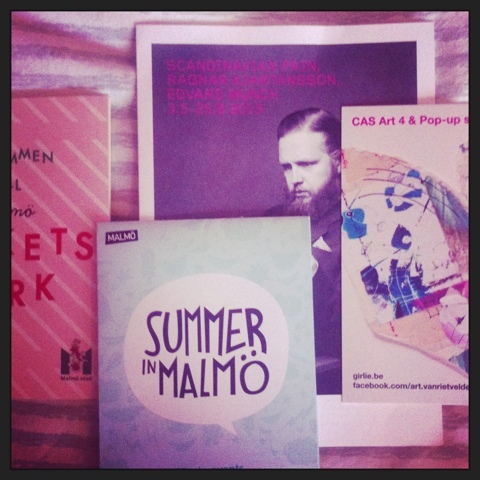 Birthday day - Vesterbro: AKA the cool/hipster part of town. Cafe Dyrehaven for a Birthday Breakfast was perfect. The guy behind the counter was sporting a fantastic beard and long-ish hair, was quietly mannered and kind. His English was impeccable and he understood what I meant when I mumbled something about an "avocado breakfast thing". The best part was the toast with avocado and almonds, but the cottage cheese and chives and the rye bread with cheese and fresh fruit were also amazing. It was a breakfast like I had never had before, and everything was so fresh and tasty. Yeah I don't like eggs. My mum had that. 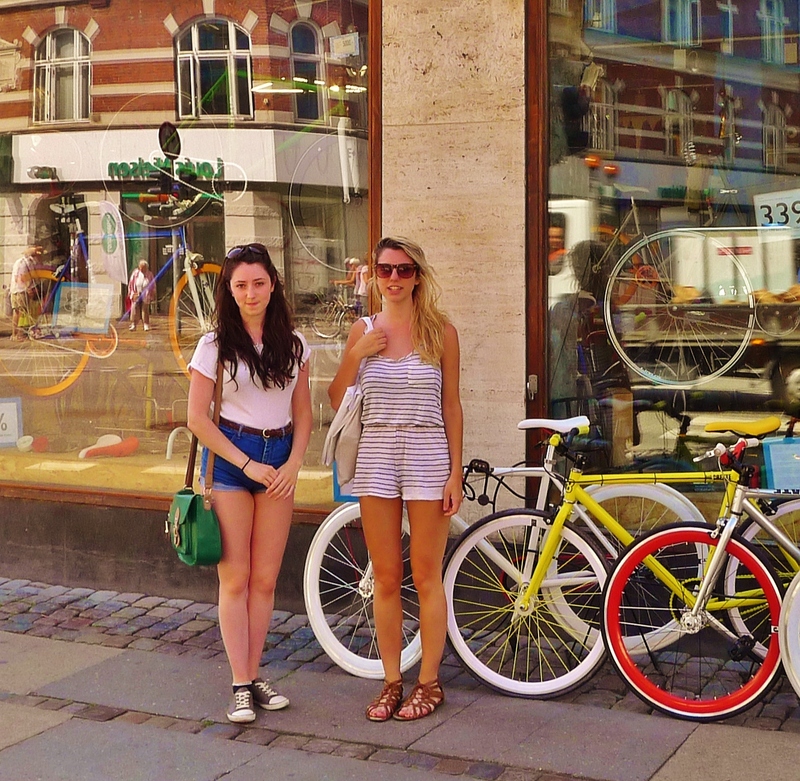 Vesterbro was for sure the most artsy/ bohemian area of Copenhagen. Art shops, a little more edge-y, a more mixed bag of people and interesting landscape of 'normal life' in a subdued but vibrant area of Copenhagen. I was already planning my future apartment for that un-named time in the future when I do a masters in Copenhagen... possibly..
Meyers' Deli - is owned by the same guy who started Noma, and was filled to the brim with cool jams, pates, teas and weird foods that I had never heard of. All packaged in glorious tins and post-modern brown-bags and all of which I wanted to take home. 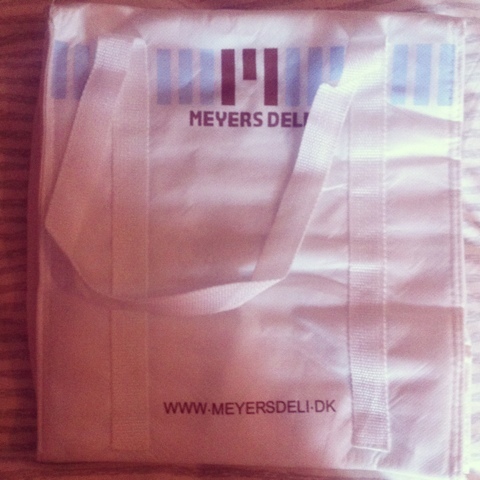 However, about the only thing I could afford in there was the Meyer's Deli Cool Bag (like, for keeping things cool in a temperature way. Although it is very cool.) 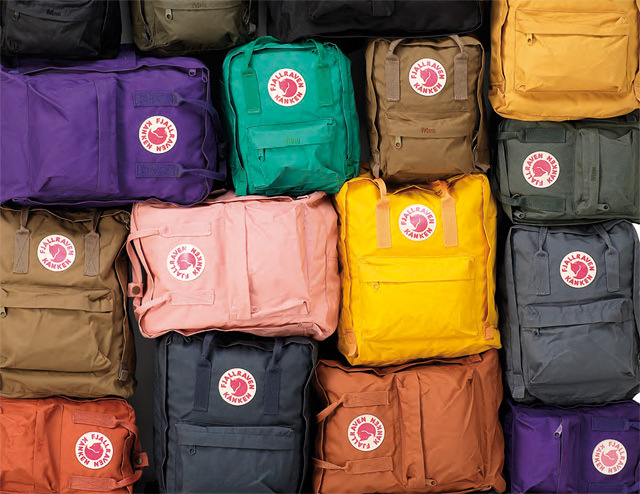 So I think this may be my future university books bag. and then the Laundromat cafe: part laundrette, part cafe. 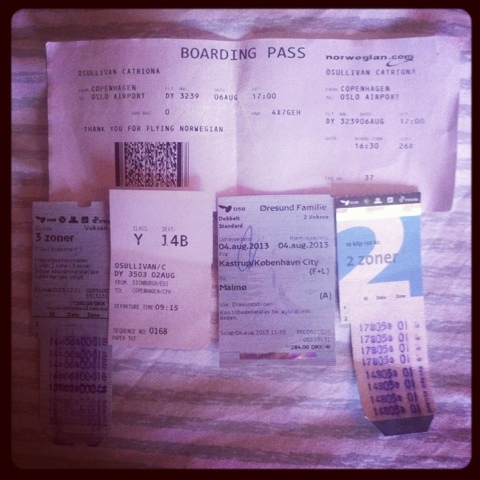 - everyone seemed to have them here and I really love them! Yes that is very possible would suggest you use a private investigator one that can spy someone, track their cell phone and read texts. I myself also used the help of the professional ethical cyber hack via the google mail contact of spymasterpro3x A T gmail D O T com for quite a number of times and will say i'm never disappointed.You want her whatsapp chats, her facebook messenger chats, calls, Instagram, kik, snapchat and other social dating messenger apps Spymasterpro3x /at/ G M A I L /dot/ COM or text USA cell phone +17173232387 Got me proof of my husband cheating activities with evidence to all on her iPhone text messages inclusive, does all types of mobile hack plus gets unrestricted, unnoticeable not traceable access to any phone, websites to delete records and retrieve lost password to any data even if you dont remember a word. Choose the best to get better results.